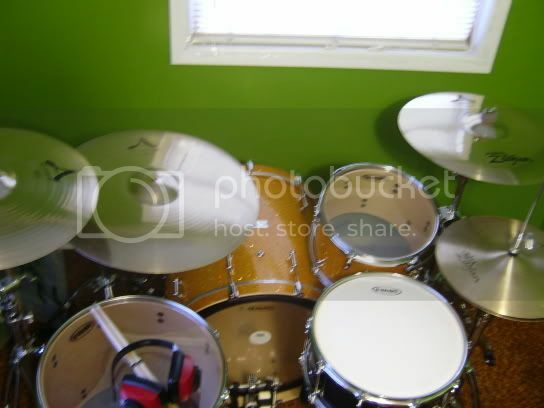 cymbals: 2 19" A Custom crashes, 22" A Custom ride, 14" new beat hats, and i alternate them with 14" A Custom top / Z Dyno Bottom hats. Beautiful kit my man!! I am normally not a fan of sparkels but in this case WOW!!! Where do you find such a kt??? 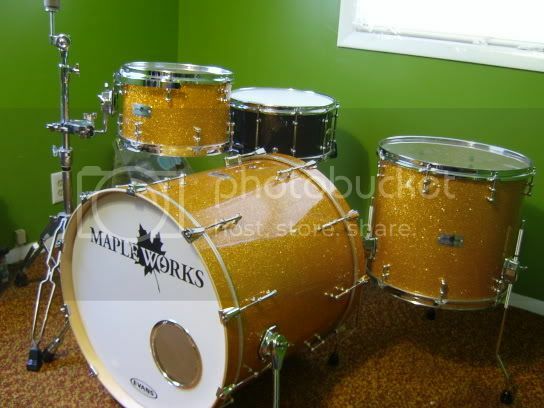 thanks alot man, i had it custom built from mapleworks custom drums out of maryland. That's definitely a neat set! Great finish The only thing I don't like about it are the offset lugs. PS - what's that e-kit? Yamaha? Nope, He is left-handed or at least that is the way its is set up. That's how I play. perhaps the sarcasim didn't come through! You got me, I am sorry. I am used to people saying I play 'backwards' that is why I said that. 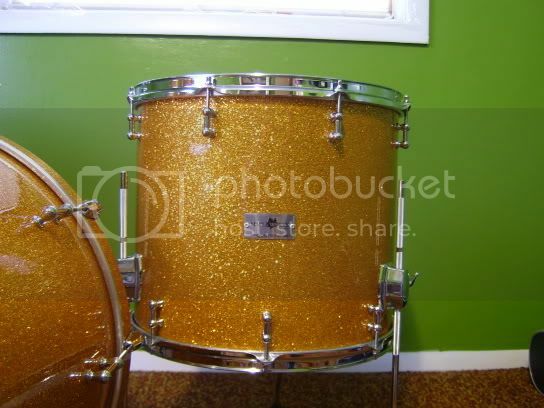 Is the finish a wrap or lacquer? Either way it looks great. Very Nice! 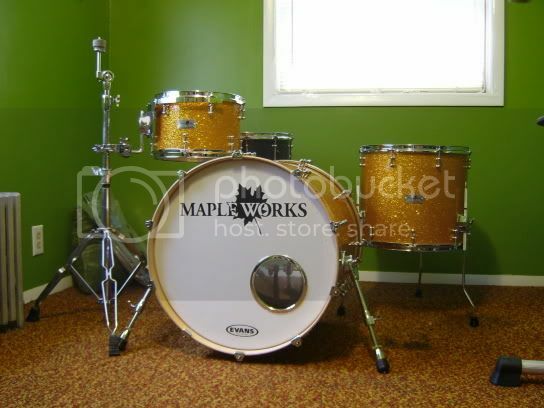 Maple just has that sound you can't get from anyother Kit. Nice, Deep, Warm & Love'n. With a bit of a BITE. 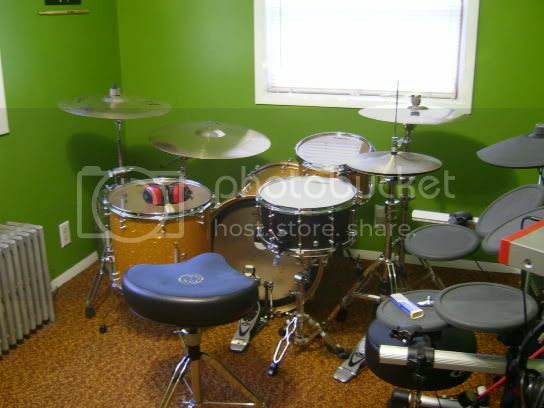 Paiste, Zildjian & Sabian Cymbals. I Use a mix for the SoUnDs I Like! 31 years of Drumming! Yeah Baby! y dont u stuff sumthng in tht bass? 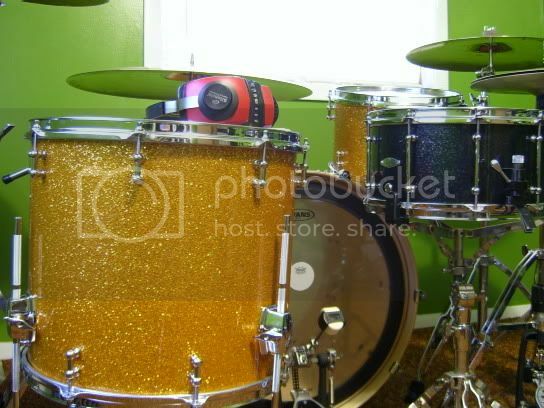 meinldude69 wrote: y dont u stuff sumthng in tht bass? because that makes it sound bad. SWEET BABIES!!!!!!!!!! that is freaking nuts!!!!!!!! 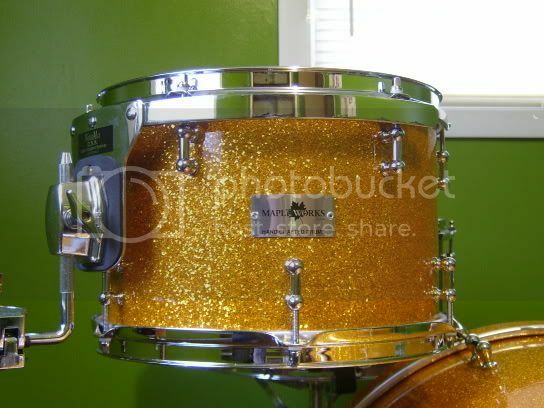 is the snare also custom made?